Are you looking for a way to financially support the work of Healing Rooms Ministries without any extra effort or cost on your part? Do you shop online at Amazon.com? Then we have an awesome answer for you! 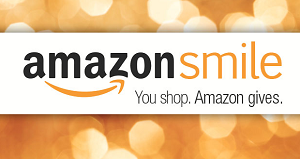 You have to remember to go to the Amazon Smile URL every time you purchase. To make it easier, there is a [Chrome extension] and a [Firefox extension] that ensures all of your Amazon purchases go through Smile.